Why is everyone suggesting I “pay myself first”? The concept of paying yourself first is something we have been recommending for years. In fact, it is the very first step we suggest our clients take when prioritising their financial wellness. Simply put, we teach clients to save money before they spend it, instead of saving money that’s left over at the end of the month! Let’s look at one of our clients as an example. Kate is a single mom of three children, has a fulltime job and earns a fairly good salary. She gets paid on the 25th of each month, has monthly debit orders and payments coming off her account, as well as other routine expenses such as petrol, food and extra murals. She has always intended to open a savings account but maintains that there is never anything left at the end of the month. This situation is true for so many of us, which is why we recommend turning it on its head and paying yourself FIRST. This means putting money in your savings account as soon as you get paid – before any other payments are made. We suggest automating this process so that it happens routinely – and before long, you won’t even miss that money. In fact, when you see the results, you may feel tempted to increase the amount you pay each month. 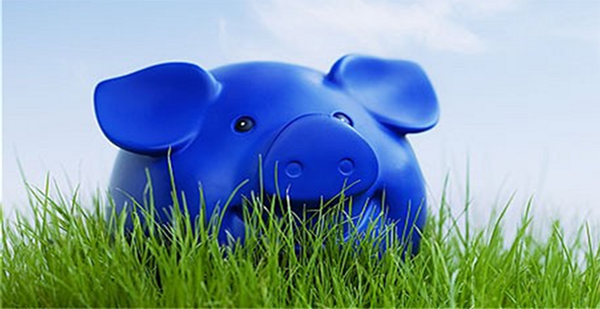 This “nest egg” can be used for emergencies or unforeseen expenses, to save for bigger purchases (for example, new tyres or home repairs), renovations, holidays, down payments on a house or car, or even for your retirement. Plus, there’s the psychological benefit of knowing that you have prioritised your financial wellness, instead of treating it as an afterthought. You will be amazed at how your spending habits change as a result, not to mention the impact it has on your children who can be encouraged to follow suit as soon as they start earning pocket money! Since our first meeting, Kate (despite her initial hesitation) has successfully implemented this process. She set up a debit order to transfer 10% of her take home salary into a savings account and maintains that after three months, she has become accustomed to doing without that money. For the first time in years, she feels that she is not living from paycheck to paycheck and has a better handle on her cash flow. Not to mention the peace of mind that comes from knowing that she has a nest egg safely stashed away. Kate also found another unique way to boost her savings. She has set up her Medical Aid refund system so that money is paid straight into her savings account. That way, her savings account is being boosted without her having to think about it. Creative and effective – we love it! Make yourself a priority – ensure that you pay YOURSELF before anyone else receives your hard-earned money. Work on paying yourself 10% as a rule – add or subtract according to your personal circumstances. Ensure this money is placed in a separate savings or investment account. Set up an automatic debit order so you don’t need to think about it every month. Want to learn more about our 5-Step Financial Blueprint? Contact us now to schedule your FREE Financial Wellness Checkup. It could be the most profitable hour you spend this year!